Ever since the OnePlus 3, OnePlus has been proud of its fast charging solution. Called “Dash Charge,” the technology behind it is licensed from OPPO and mimics their VOOC (Voltage Open Multi-Step Constant-Current Charging) implementation. In a nutshell, OnePlus’ Dash Charge and OPPO’s VOOC produces a larger electrical current of 4A and at 5V for 20W of power delivery. Instead of increasing voltage like other fast charging standards, this set of implementation opts for larger electrical current to deliver more electrical charge over time. This is accomplished via software as well as hardware — one of the reasons why you need special proprietary chargers from these companies to make use of the technology. While Dash Charge is proprietary, there simply is no denying that it is one of the best fast charging solutions available in the market. Not only does Dash Charge juice up your phone quickly, it does so even when the phone is actively being used without bringing about any further thermal strain on the device. We have conducted extensive speed, thermal, and performance comparisons of fast charging standards in the past. Unsurprisingly, Dash Charge comes out on top despite being a proprietary technology. 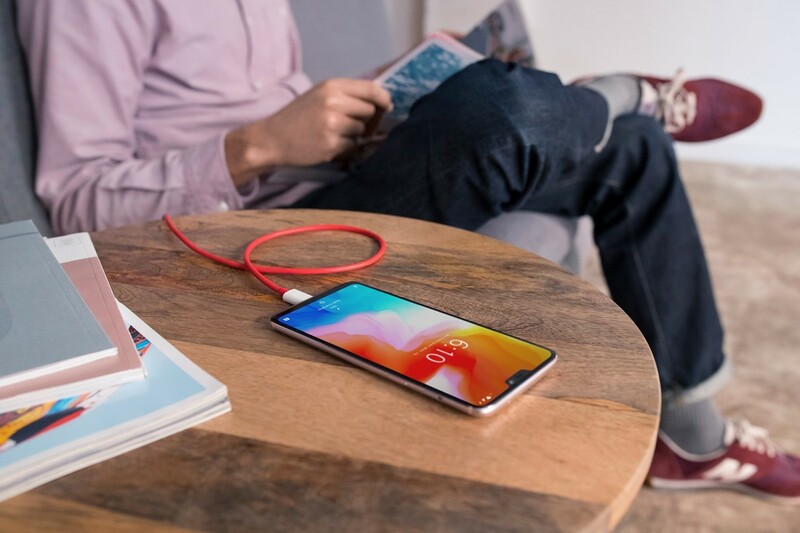 At the launch of its newest smartphone, the OnePlus 6, OnePlus stayed away from mentioning “Dash Charge.” The latest OxygenOS Open Beta has the term “Dash charging” replaced by “charging rapidly.” OnePlus’s online stores in several regions have started referring to Dash Charge cables simply as fast charge cables. Curiously though, OnePlus’ Indian store still uses the Dash Charge moniker, with OnePlus even mentioning it on stage during the OnePlus 6 Mumbai launch. According to AndroidPolice, who reached out to OnePlus, the company had filed for a “Dash Charge” trademark in the US and the EU in 2016 when the OnePlus 3 was launched. The EU rejected the application in March 2018 as two companies have seemingly contested the trademark in the region. Bragi, a wireless audio company which calls one of its earphones as “The Dash Pro,” and Amazon, which has a trademark for “Dash Replenishment,” an API for connected devices to order items from Amazon automatically. The sign DASH CHARGE (Stylised) (“the Sign”) applied for by the Applicant in this application (“the Application”) should be considered to be similar to the Opponent’s trade mark DASH REPLENISHMENT (Stylised) (“the Mark”), as protected by the registration referred to in the Notice of Opposition (“the Prior Right”). The goods covered by the Application are identical and/or similar to the goods protected by the Mark. Because of the similarity between the Mark and the Sign and the identity or similarity of the goods covered by the Application and the goods protected by the Prior Right, there exists a likelihood of confusion (including the likelihood of association) on the part of the relevant public between the Mark and the Sign. As a result, the Application should be refused in respect of all goods covered by the Application under Article 8(1)(b) of European Union Trade Mark Regulation 207/2009/EC, as amended. Because of these existing trademarks, OnePlus is unlikely to own the “Dash Charge” trademark in the EU. The company will likely switch over to a different branding for its fast charging solution, and such a change seems imminent given that mentions of the word “Dash Charge” have already started disappearing.